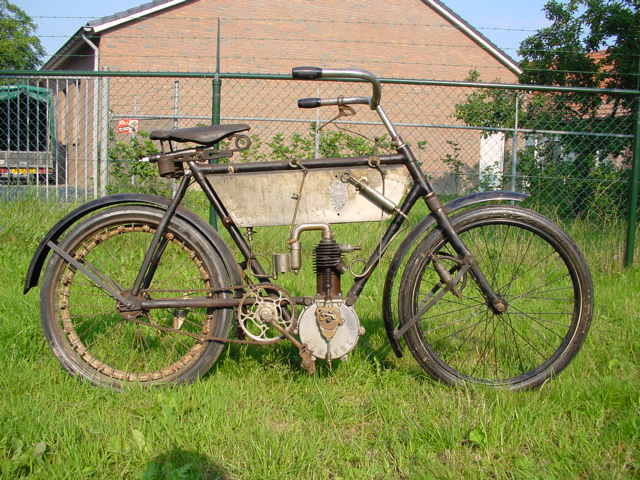 The firm was founded at Neuilly sur Seine in 1902 to manufacture bicycles. The name refers to a mythical bird. That first year some 3,000 were produced, in 1909 this number had grown to 40, 000. 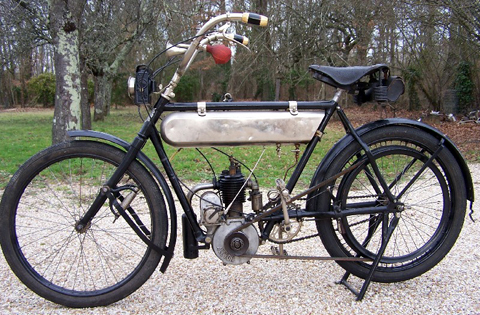 Production was also taken up in the town of Courbevoie and already in 1904 the factory assembled its first motorcycle. 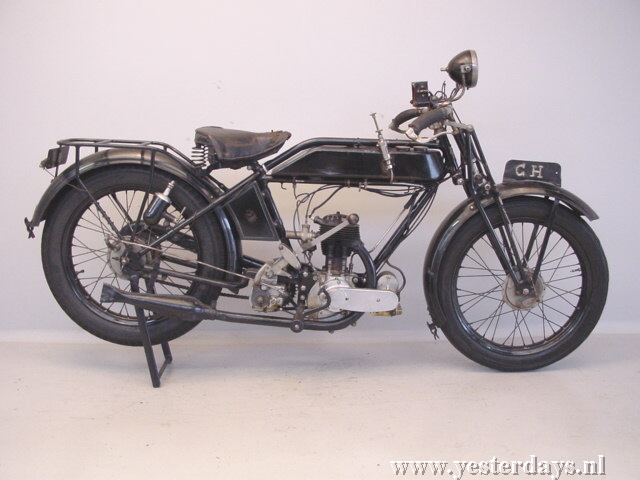 It was equipped with a Swiss Zedel engine, from the firm of Zurcher&Luthi in St. Aubin. In 1906 a Zedel factory was opened in la Ferriere sur Jougne in France and one year later the Swiss factory closed. Soon after that the French Zedel factory was brought under the complete control of Alcyon. 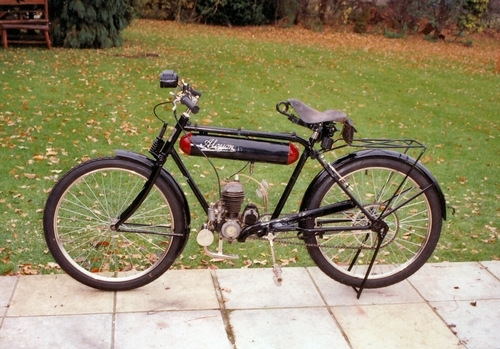 Subsequently most Alcyon motorcycles would be equipped with Zedel or Zurcher engines. It appears that only in 1925 JAP engines were used. In the early twenties several makes were taken over, such as Labor, Thomann, Française Diamant and Olympique. After 1945 mostly light motorcycles, scooters and mopeds were produced till the giant Peugeot took over in 1954. Alcyon 100cc Round Tank Image kindly provided by www.cheffins.co.uk. 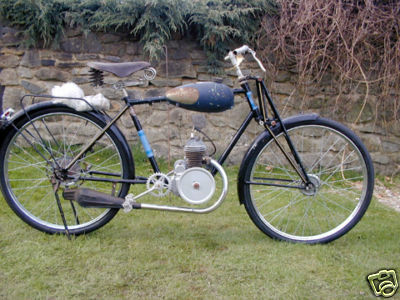 The engine is a 2hp Zurcher. 1920's Alcyon 150cc Flat Tank Image kindly provided by www.cheffins.co.uk. 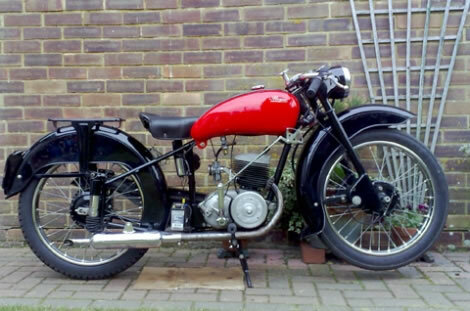 1952 Alcyon 125cc Type 25 Standard This motorcycle is the Type 25 Standard, with Zurcher 125cc two-stroke engine, and a 3 speed gearbox with hand-change. Price new was 96000F.